Your Geico Renters Insurance account is easy to access online, allowing you to make payments, create a claim, review your coverage, and perform a variety of other functions. With the user-friendly Geico Renters Insurance login options, you can access your insurance information with your online User ID, your email address, or even your policy number and your password. 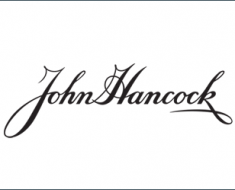 This lets you meet all your insurance needs with the click of a button, and with their convenient mobile login, you can even take your insurance company with you on the go. The following instructions you with a complete walkthrough of logging in, so you can get started. 1. 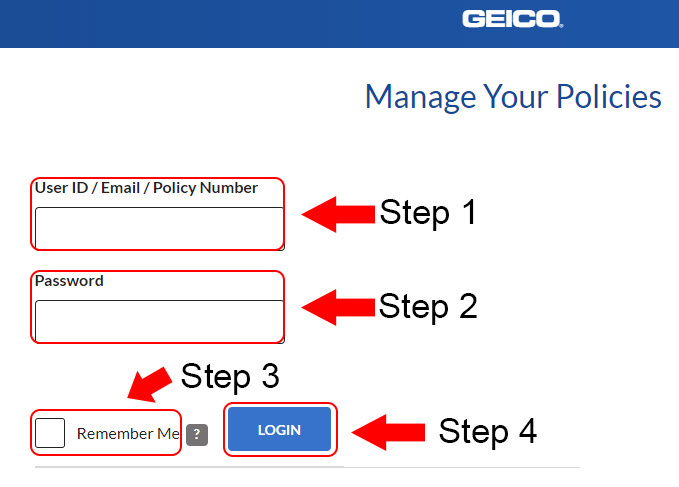 Navigate to the Geico login page. 2. Enter your login information in the User ID/Email/Policy Number box. 3. Type your password or code into the Password box. 4. Click the Remember Me checkbox if desired. 5. Select the orange Login button. 1. Navigate to the Geico login on their homepage. 2. Select Renters from the Access Your Policy dropdown menu. 3. Type your login information in the User ID, Email, or Policy Number box. 4. Enter your password or code into the Password box. 5. Click the Remember me checkbox if desired. 6. Select the gray Log In button. 1. Navigate to Geico’s homepage. 2. Click the blue Log In button in the upper, right corner. 3. Choose Renters from the Access Your Policy dropdown menu. 4. Enter your login information in the User ID, Email, or Policy Number box. 5. Type your password or code into the Password box. 6. Click the Remember me checkbox if desired. 7. Select the white Log In button. 1. Locate the GEICO Mobile app in the Apple App Store. 2. Tap Get and then click the Install button to download the app to your device. 3. Launch the application once the download finishes by clicking the blue Geico G icon. 4. Select Allow or Don’t Allow when the notifications question appears. 5. Click the blue Log In button under the What would you like to do? heading. 6. Enter your login information in the User ID/Email/Policy Number field. 7. Type your password or code into the Password box. 8. Tap to activate the Show Password or Keep Me Logged In options if desired. 9. Select the green button to Log In. 1. Download the GEICO Mobile app by locating it in the Google Play store. 2. Launch the application once the download finishes by clicking the blue Geico G icon. 3. Select the blue Log In button under the What would you like to do? heading. 4. Choose Allow to accept the applications requirements. 5. Enter your login information in the User ID/Email/Policy Number field. 6. Type your password or code into the Password box. 7. Tap to activate the Show Password or Keep Me Logged In options if desired. 8. Select the green button to Log In. If you experience any issues with the Geico Renters Insurance login or your Geico account, there are a variety of online options available to assist you. Geico allows you to start your account and obtain a User ID and password with their easy Online Activation. If you have trouble remembering your login information, try their Forgot User ID/Password link. They also have a variety of Frequently Asked Questions you can use as well as an online form for assistance and a toll-free number 1-800-240-5866.